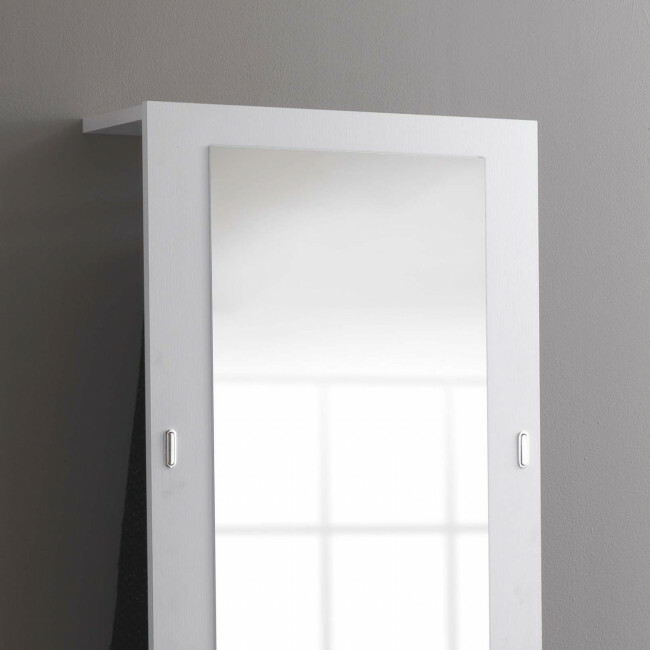 Evolution E01 is a wall mounted hallway mirror with coat rack. 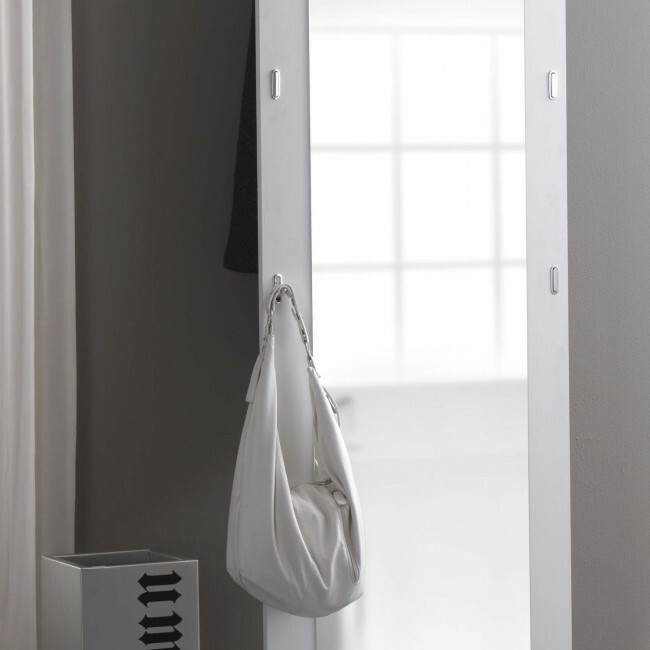 It features a rectangular mirror and 4 metal hooks on the front, whereas on the back a bar can hold clothes hangers. Two convenient shelves, one on the bottom and another on the top, increase the space at disposal for bags or shoes. The whole composition is completed with two wall mounted bookshelves you can place wherever you need. This hallway furniture includes in just a few centimetres all that's necessary when you come back home, including chromed hooks. These small accessories are quite resistant and are perfect to hold coats, scarves, bags or keys. 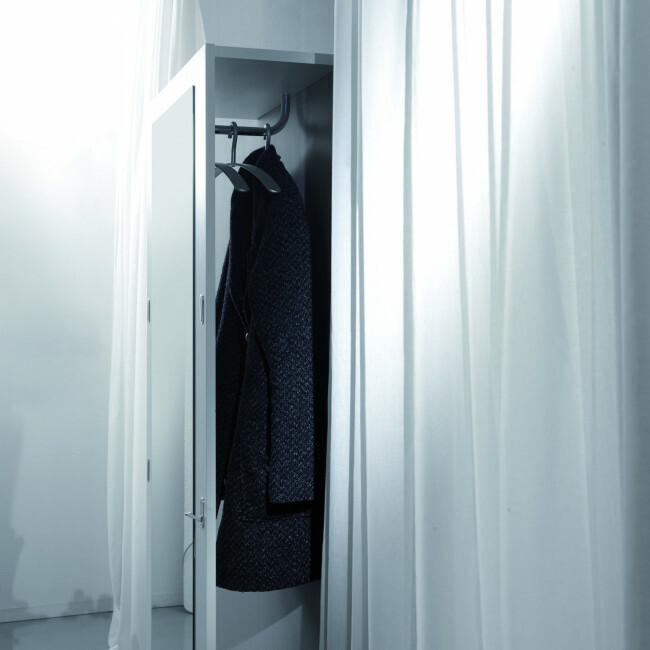 Evolution E01 takes up only 28 cm in depth, making it perfect for small hallways, vestibules or corridors. 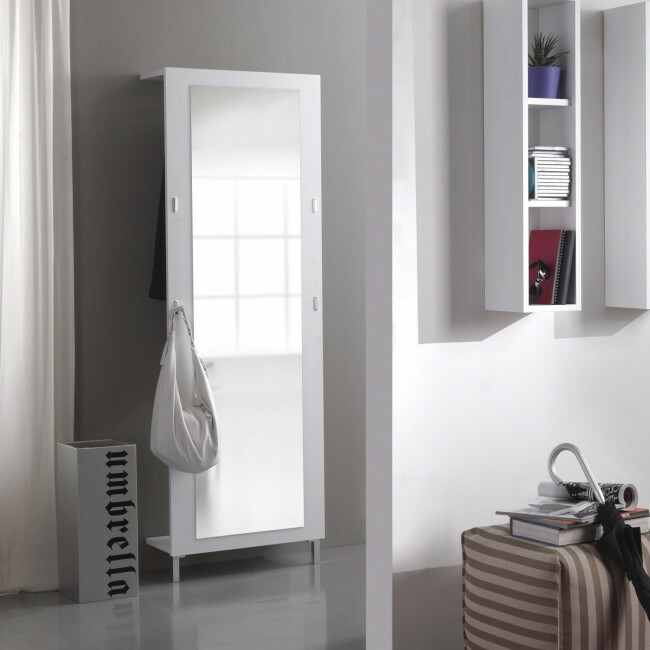 Thanks to its reduced dimensions and the development in height it can fit every kind of environment. The back side of the panel is pre-drilled, the number of holes and the gap between them may be changed upon request. 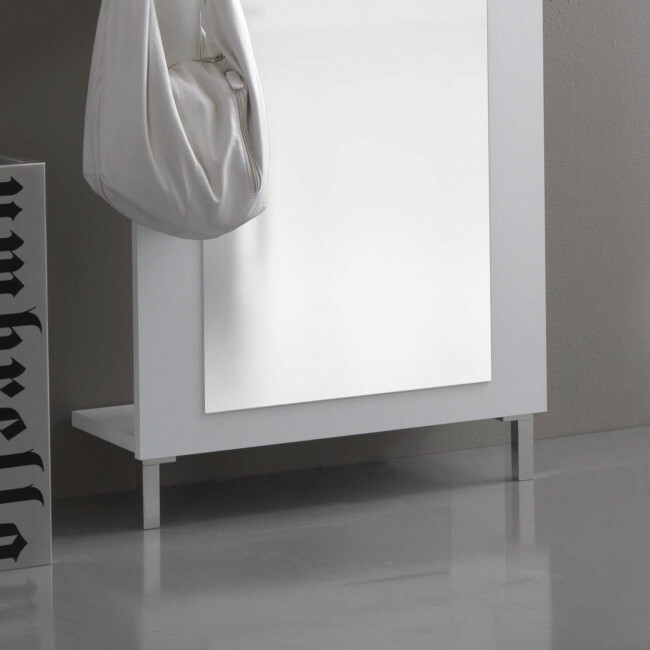 Evolution E01 belongs to Evolution collection, which gathers modern hallway furniture. The panel is customizable for measurements and finishes. Shelves are available in several finishes. You can find all customization possibilities of this hallway furniture by using the configuration menu.